The bloggers have landed here in Friuli and today begins our adventure together as the COF2011 blogging team. Friuli has an ancient history of winemaking, going back pre-Roman. For this there is no dispute. That isn’t much different than the rest of the Italian peninsula. What separates Friuli from the rest of Italy starts a little bit later. First, the name of the region tells you a little about it’s past: Friuli VENEZIA Giulia. This area is really composed of at LEAST 3 distinct sub areas united (more or less) under the Venetian empire. The Venetians were sailors and traders. They were not great fans of wine, considering it something of a peasantly pursuit, along with the rest of agriculture. Therefore the nobility wasn’t a great sustainer, follower of cataloger of wines and their best sites, as the Tuscans and Piedmontese were. Every family had its vines, along with other produce, that was grown for sustenance. Wine was not a noble’s beverage. It was a source of caloric content, fueling the working-class’ need for energy. The influence of Napoleon and the Austro-Hungarian empire can’t be overlooked. It was the Austrian nobility, with their close familial connections to the France that truly popularized the use of French Varieties in Friuli, like Sauvignon, Merlot and Cabernet Franc. Native varieties suffered and many were lost. Next, there was the impact of two world wars fought on Friulian soil. The first being the most devastating. The impact of these conflicts destroyed most of Friuli’s vineyards and almost ALL OF ITS MEN… who were the principal winemakers. Friulian viticulture is young. 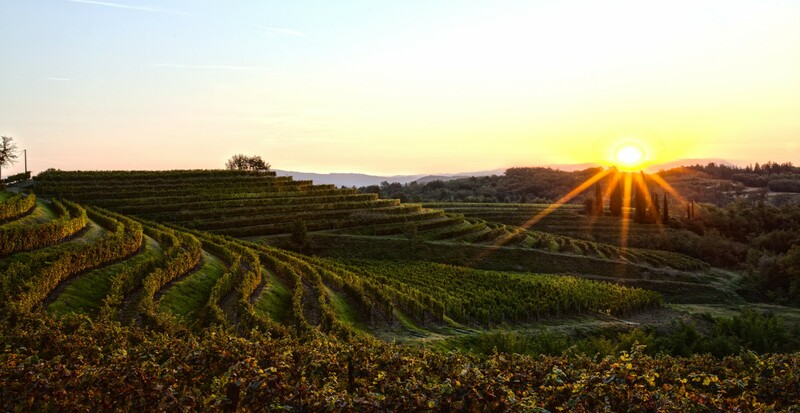 It has not had the historical stability to gain a foothold in the global wine mentality, even though it IS Italy’s premier white wine producing region. It’s a technologically advanced wine culture: The first to use stainless steel and to control the temperature of fermentation. That technology REVOLUTIONIZED white wine production in Italy. Previously italian whites were heavy, oxidized and lacked delicate aromas. But… it’s a viticulture that hasn’t had the time to hone it’s intrinsic style…and that can be liberating. There IS a beauty in not being hemmed-in to a certain style. Experimentation is common, change is not considered a major break with history. As we begin our journey this week, it’s important to keep these things in mind. This entry was posted in Uncategorized and tagged Bastianich, COF2011, Friuli, wine on February 7, 2011 by bastianichwines.